The Lamborghini Cabrera is scheduled for release in 2014 as the replacement vehicle for the top performing Gallardo. The newest supercar will feature the same Gallardo V10 engine, 5.2 liter capacity, 6 speed manual transmission, rear wheel or all wheel drive(four wheel drive is also under consideration) and will likely be labeled the LP600-2 and LP600-4 respectively. A supercharger will be adjoined to generate over 550 – 600 horsepower. It is anticipated that the Cabrera will meet 60 mph in 3.41 seconds along with a top end speed of 202 mph. The carbon fiber structure (monocoque) will provide for significantly lower weight and some enhanced fuel economies and overall speed enhancements. The carbon fiber weight savings is approximately 65 pounds overall. Lamborghini has been very open in promoting the Cabrera to keep consumer interest ongoing. The Cabrera will offer a stylish and smashing unique exterior design which will wow car enthusiasts worldwide. It is believed that Lamborghini will bench mark many of it styling efforts off the Sesto Elemento. Michael Lock, COO of Lamborghini America has conveyed that the Gallardo lineage (specifications, versions, etc.) will not carry over to the new Cabrera. The top running Gallardo will certainly be missed but it has had a great run and will now make room in the model lineup for the new Cabrera. There is a possibility that the new supercar could actually be named "Huracán" which has been registered by Automobili Lamborghini SpA. Others at Lamborghini seem comfortable with the Cabrera name as it is famous for a Spanish fighting bull. Regardless of its final naming designation the new model will continue Lamborghini's trend of more powerful engines and sharp exterior features. It is likely that shortly after the initial closed coupé version a new Spyder edition will come be available since Lamborghini will only offer one dedicated Spyder model. Other potential editions include the Superleggera and Performante. The Cadillac Escalade Platinum has been a fixture for pro-athletes, rappers, movie stars, rock stars and the new Lamborghini Urus could very well be a suitable alternative for this genre. Further customization of the Urus will put it in a unique market niche for the very wealthy. 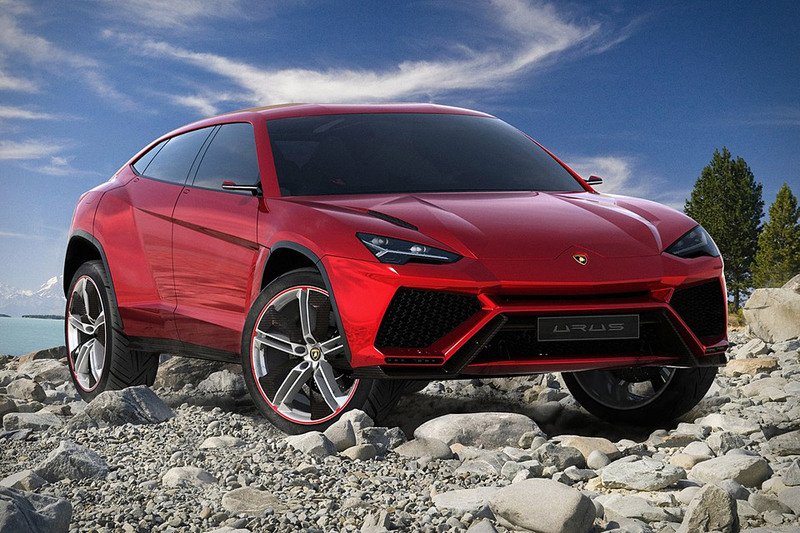 Lamborghini‘s superstar SUV will be an aggressive car with a angular stance and a superior interior. The Urus will be quite costly and someone looking for a similar vehicle in the same market niche might find the BMW X5, X6, Range Rover or the Mercedes M-Class easier on the wallet. The Urus is going to be an expensive vehicle for the very, very wealthy which will be built in China. China is known for minting more millionaires than any other country in the world in case you didn't know. The Urus was originally unveiled at the 2012 Beijing Motor Show. It is believed that the Lamborghini Urus will compete with the Porsche Cayenne on a similar level. Target markets include the Russia, the US, the UK, Germany, the Middle East and China. The Urus will compete well in its market niche by offering a lighter curb weight. Both the Porsche Cayenne and Audi Q7 will be alternative vehicles of choice for the smart consumer. The Urus will be known for its power underneath the hood with the size of an SUV. Some feel the Urus looks similar to the Ford Focus or Range Rover Evoque side-on, BMW X6 from the rear. Some have even suggested if it comes in black it could resemble the Bat Mobile. Lamborghini vows the Urus will be the lightest and best-handling vehicle in the segment. Lamborghini represents the place where passion overwhelms business sense and has lost money for decades and is only somewhat profitable today. Lamborghini's vintage, heritage and image are still held as the pinnacle of sports cars. This keeps the capital investment moneys flowing for a vehicle such as the Urus. The biggest hurdle facing Lamborghini is to differentiate the Urus from Audi and Porsche if it must use the same basic materials. Lamborghini has always offered too much opulence and car for most of its drivers. The Lamborghini Urus has a great opportunity for success if it doesn't break the bank. The Lamborghini Urus SUV will offer an output of approximately 600hp. The Urus and the Bentley EXP 9F are similar in design. What if we tell you that you can own Lamborghini Reventon with cheap price? No, we are not offering the black market items or even the fraud version of the Italian raging bull supercar. The photos successfully fooled you, then you probably not that smart to differentiate the original Reventon with the replica. Sorry to confuse you folks because what we attached is the replica of the Reventon supercar which is why we refer this vehicle as the cheap one. The real Lamborghini Reventon was built between 2009 and 2010. The Italian Raging Bull company only creates 20 units of the supercar with price tag sets at €1 million or equals to $1,3 million. Since the Reventon arrived in very limited and exclusive numbers, it is pretty much understandable if creative hands decided to replicate the expensive supercar into cheap and affordable for those who can’t get their hands on the original supercar. Autoevolution.com reported that the Reventon replica comes from Spain and the cheap supercar is powered by the 2.0L four-pot engine with total power output of 272 horsepower. If you one of those people who are dreaming to ride on the Lamborghini Reventon supercar, then you probably want to buy this replica which you can get the access here. Believe us when we told you that this Reventon DOES come in cheap because the maker sets the price at €35,000 or equals to $45,700. So, what do you think? It is quite a bargain, right? Another aftermarket developer who tries to customize the Italian Raging Bull supercar. Couple of days ago, we brought you the Aventador project by ASMA Design. And now, time for EVS Motors to pimp out the Lamborghini Gallardo Superleggera. Yes folks, we are talking about the exclusive version of Italian supercar which has differences to other models as this one is very limited. So, why have limited edition supercar which still doesn’t give you the amount of attention you want? Attention seekers will definitely go to aftermarket developers such as EVS Motors to transform their vehicle into one crowd pleaser or center of attention. EVS Motors which is US aftermarket developer knows that the popularity – and the speed – of Gallardo Superleggera is like living legend. The customization project for the Italian supercar is a one-off for a special anonymous customer. Autoevolution.com hinted that the tuning from EVS Motors targets the exterior and interior without touching the engine and performance. The Lamborghini Gallardo Superleggera granted with new front bumper which that copies the LP models and you can’t miss that set of ADV. 1 05 Deep Concave wheels with silver finish. The interior of the supercar has been fitted with a premium sound system which EVS Motors guarantees to blow your ears off and the highlight of the interior is a carbon fiber iPhone docking station. Price tag for the tuning kit has not yet shared, but we believe that transforming the supercar to be one center of attention means money is not a problem. Just when you think that Paris Hilton has everything in pink, think again. Our two set of photos revealed that there is Asian version of Paris Hilton on China where the anonymous owner custom his Lamborghini Gallardo in pink. Yes, folks… this is how money has no limitation unless you run out of money then everything is limited. But, the pink color somehow doesn’t make the Italian Raging Bull supercar lost its “menacing aura”. The original post was published by CarNewsChina which reported by autoevolution.com where the pink Gallardo supercar spotted on the intersection of Shanghai road. It is good to know that the custom work on China has feminine side, not only rough one. Unfortunately, we are not sure on which model year of Gallardo that gets special pink treatment. Almost the whole body of the Lamborghini Gallardo supercar covered in pink color. The owner left the engine cover, the front bumper, and the rims in black color. You see, black and pink can make stunning combination, right? Lamborghini knows that Asia – including China – has been one of the promising markets for supercar manufacturers. Even India already has Ferrari dealership, so it is not that surprising to spot Lamborghini and other supercars rolling around Asian streets. Just so you know, Lamborghini successfully sold 300 units of supercar in China last year and half of them could be the Gallardo. And again, one of the already sold 300 units of Gallardos could be ended up in China’s local tuning house or aftermarket specialist for new paintjob.